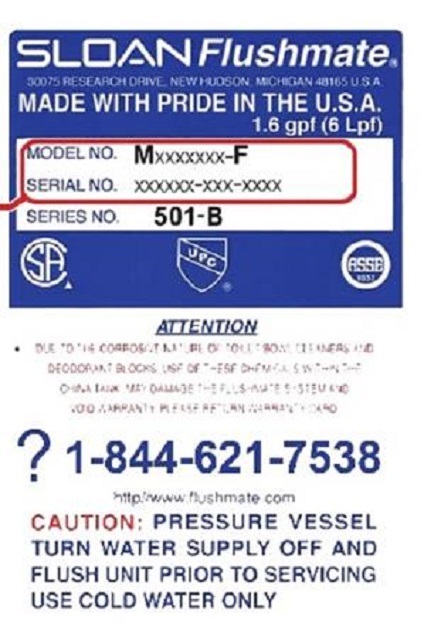 This recall is for Flushmate II 501-B pressure-assisted flushing systems installed inside toilet tanks that were manufactured from September 3, 1996 to December 7, 2013. The units are rounded oval, black, two-piece vessels made of injection molded plastic. 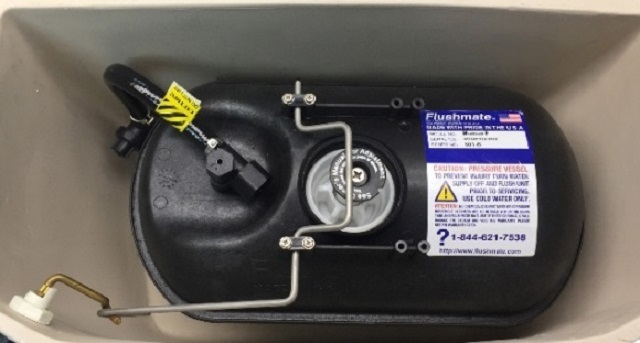 Recalled units have a date code/serial number that is 15 characters long and is located on the label on top of the Flushmate II 501-B unit. The first six numerals of the serial number are the date code. The date code is written as Month/Day/Year and the date code range for units included in this recall begins with 090396 (September 3, 1996) and continues through 120713 (December 7, 2013). The model code is 10 characters long and is located on the same product label. The model code starts with M and ends with F.
The Flushmate II 501-B system can burst at or near the vessel weld seam releasing stored pressure. This pressure can lift the tank lid and shatter the tank, posing impact and laceration hazards to consumers and property damage. As of September 27, 2018, the company has received 7 reports of the units bursting in Canada and no reports of injuries. In the United States, the company has received 1,446 reports of the units included in this recall bursting, resulting in property damage and 23 reports of an injury. Approximately 17,300 units of the recalled product were sold in Canada, and approximately 1,400,000 units were sold in the United States. The recalled product was manufactured and sold from September 1996 through December 2015 in Canada and the United States and online in Canada at acklansgrainger.com, hdsupplysolutions.ca and homedepot.ca. 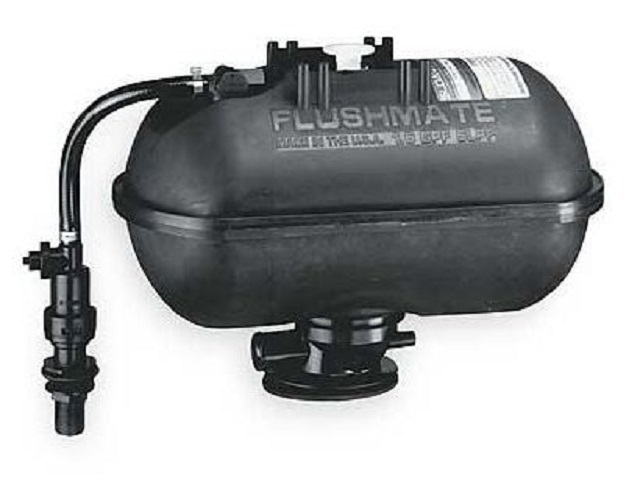 For more information, consumers may contact Flushmate by telephone at 1 844-621-7538, between 8:00 a.m. and 10:00 p.m. ET Monday to Friday, and between 8:00 a.m. and 6:30 p.m. ET Saturday, or visit the firm's website, and the firm's recall page.